Koo Ja-Cheol (FC Augsburg) wins a free kick in the defensive half. Attempt missed. Sergio Córdova (FC Augsburg) right footed shot from outside the box is close, but misses to the right. Substitution, FC Augsburg. Koo Ja-Cheol replaces Ji Dong-Won. Ji Dong-Won (FC Augsburg) wins a free kick in the attacking half. Offside, FC Augsburg. Ji Dong-Won tries a through ball, but Alfred Finnbogason is caught offside. Attempt blocked. Konstantinos Stafylidis (FC Augsburg) left footed shot from outside the box is blocked. Assisted by Jan Morávek. Corner, 1. 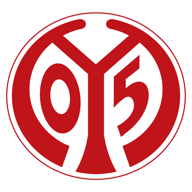 FSV Mainz 05. Conceded by Ji Dong-Won. Attempt blocked. Ji Dong-Won (FC Augsburg) right footed shot from outside the box is blocked. 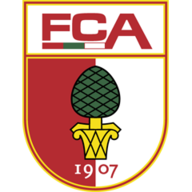 Foul by Ji Dong-Won (FC Augsburg).